Nathalie Heinich was born in 1955 in Marseille. Trained as a philosopher at the faculty of Aix-en-Provence and then as a sociologist at the Ecole des Hautes Etudes en Sciences Sociales (Paris), she took a Ph.D in Sociology directed by Pierre Bourdieu in 1981, and received a Habilitation à Diriger des Recherches (HDR) at the Ecole des Hautes Etudes en Sciences Sociales in 1994. 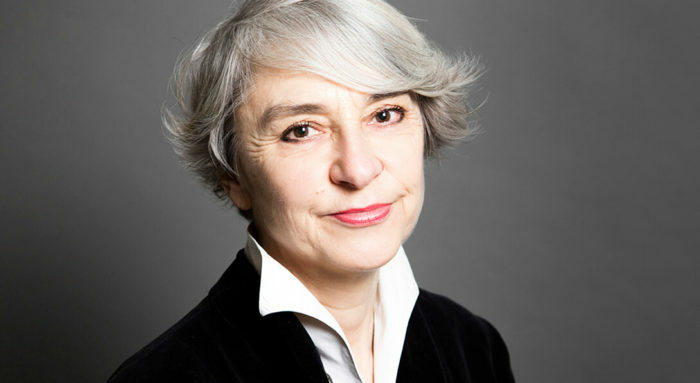 After having conducted a number of surveys in the Sociology of Culture for the French Government and the Centre Georges Pompidou, she has been appointed in 1986 as a researcher in Sociology at the Centre National de la Recherche Scientifique (CNRS), and since 1996 as a research director (Directeur de recherches). Her research mainly focuses on three different issues: the sociology of arts (artistic professions, aesthetic perception, conflicts about contemporary art, the status of authorship); the socio-psychology of identity crisis (survivors’ testimonies, women’s identity as displayed through fiction); the epistemology of the social sciences (history of sociology, the sociological use of fiction, Norbert Elias’ and Pierre Bourdieu’s thought), and the sociology of values. She has been a co-founder of the French journal Sociologie de l’art, and vice-president of the Research Comity in Sociology of Art at the Association Internationale des Sociologues de Langue Française (AISLF). She works as a referee for many academic journals, and as a consulting expert for several international organizations. As a teacher, she held the Boekman chair in the sociology of arts at the University of Amsterdam, Netherlands (2000-2002); the Jacques Leclerq chair at the University of Louvain-la-Neuve, Belgium (2003); the French Culture and Civilization chair at the Ecole Polytechnique of Zurich, Switzerland (2013); the Centre des Sciences historiques de la culture chair at the University of Lausanne, Switzerland (2014). She also delivered many lectures in France and abroad, including Asia and South and North America. She was invited in numerous international conferences, often as a keynote speaker. She published a number of articles in high-ranked academic journals, both in French and in English. She is also the author of more than thirty books, most of them published in major series at the best social sciences publishing houses (the first one, The Glory of Van Gogh. An Anthropology of Admiration, has been translated into English at Princeton University Press, 1996). – value systems : La Fabrique du patrimoine, Éditions de la Maison des Sciences de l’Homme, 2009; De la visibilité, Gallimard, 2012 ; Des valeurs. Une approche sociologique, Gallimard, 2017. She co-authored with sociologists (Michael Pollak, Roberta Shapiro), psychoanalysts (Caroline Eliacheff), jurists (Bernard Edelman), and philosophers (Jean-Marie Schaeffer). About fifteen of her books have been translated into fifteen languages.